Trying to replicate these groups, the Tehreek-e-Taliban Pakistan (TTP) released a new magazine last month titled Sunnat-e-Khaula, ‘The Way of Khaula,’ a reference to an early female follower of the Prophet Muhammad (PBUH). Its primary aim is to convince women to join the militant group and take up jihad. The cover of the magazine features a woman covered from head to toe in a veil walking in a yellowed hued dessert. Gaining popularity on Facebook, users dubbed it the new ‘Jihadi Vogue.’ The 45-page magazine circles around a number of topics, with a consistent theme, i.e. ideology and belief will guide the world forward – not kneeling before the Western enemy – in an attempt to create sterile divisions between ‘bad’ state institutions and ‘good’ Taliban ideology. The magazine tasks women followers to distribute literature reflecting on the obligation of jihad; arrange physical training classes for sisters. Learn how to operate simple weapons. Learn the use of grenades. Observers took to blogs and websites to understand why TTP has tailored a magazine to reach out to a demographic that it primarily oppresses and marginalizes. "It's really a strategic logic that these terrorists are using," states Georgia State professor Mia Bloom who has studied women and terrorism. "For them, women are a tool or an instrument, to be exploited for whatever purposes necessary, and their objectives are ultimately longevity, survival and to flourish." “The Pakistani Taliban is trying to draw on disaffected, educated Muslim women,” says Omar Waraich, a Pakistani journalist. Nikita Malik, a senior research fellow at the Henry Jackson Society adds "It is definitely an attempt, especially as it is the first one, to reach out to a different audience, to reach out to different recruits." Thus, despite numerous bans on women’s voting and general participation in public life in areas under its influence, the TTP is now willing to admit women as actors in its political strategy, albeit in an instrumentalist role. The magazine is replete with diatribes against democracy in particular and the state in general. Its opening comment holds that, “[It] is ignorance on behalf of the public that they are unaware of Islamic system of Khilafah and hence they find peace and prosperity in democracy.” The Taliban belief, shared by religious political parties such as Jamaat-i-Islami, is that democracy is a western construct and should be replaced by the creation of an Islamic order. This rhetoric has hindered democratic institution-building in the Pakistani state and has led to disruption during the voting process. In particular, women in conflict-affected tribal areas and Khyber Pakhtunkhwa province were prevented from voting during the 2008 and 2013 elections. 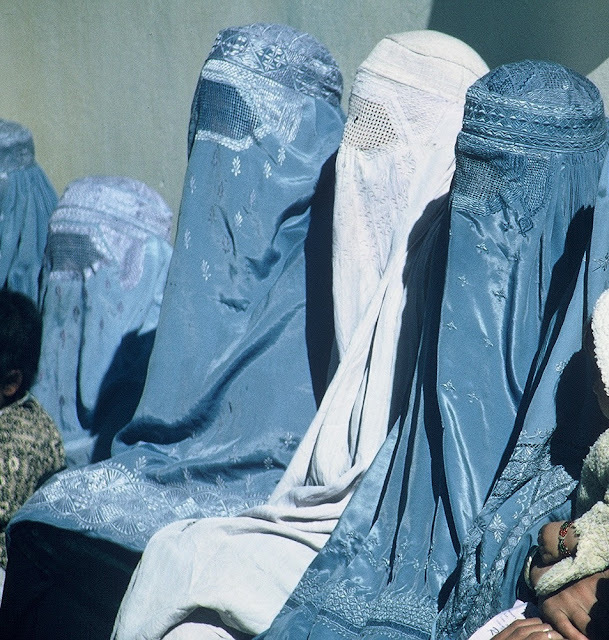 It appears the Taliban have no issue, however, with women making their political voice heard if it means bearing arms in the name of jihad against the state. *This blog was written as part of ongoing work on Action for Empowerment and Accountability, led by Institute of Development Studies.